It often happens that your android device is stuck while you are downloading an app. Android Market hangs up suddenly leaving you in a fix. What actually makes things worse is that the stuck download does not even go away, lingering on your screen forever. But there is nothing to worry if your app download is frozen on android device as it happens many times and there is a solution for it. 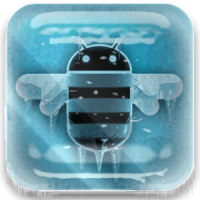 The simplest way apparently to get out of the frozen app download on android issue is to restart your device. But the main thing is to access your Application manager via your settings app and clear your cache or data. Remember not to force stop or force close. For older devices with Android 2.1 with Android Market, you have to open Settings app or just access settings menu on your Android device however possible. Next thing is to tap on Applications then tap on Manage applications. You will then see a list of all your apps but if they all don’t show you have to tap your menu icon and choose Filter to open your filter options. Now choose All to see all the apps that have been installed. When they show you have to scroll down to Market and tap on it to see more options. Tap Clear cache and Force stop. For the latest android devices, apps are downloaded via the Google Play Store. To clear caches and do force stops of the Play Store app, you need to visit Settings. For instance, on a Samsung Galaxy running Android 4.3 that will open a menu and then you have to go to the "More" tab. Here you need to tap Application manager and it will open a list of all your apps generally separated between 4 columns: Downloaded, SD Card, Running and All. The Running section is a nice way to close out active apps you aren't aware of that run in background continuously. For this tutorial, you need to visit All and scroll down to the Google Play Store app and tap on it. a number of options will appear and generally tapping on Clear cache and Force stop should work. If that does not, you can tap Clear data. Following these steps will fix your frozen app download issue. In case that does not work, you can try going to Download Manager and tapping Clear data then Force close. Good luck!